Comic Book Resources - my homebase on these here internets - hosts a myriad of other comic-related content beyond my weekly reviews. One such beloved column is Comic Book Legends Revealed - a MythBusters of the comic scene. This week's column features information about the late, great Arnold Drake. Give a click and enjoy. So Danny the Bungalow welcomes Ambush Bug! 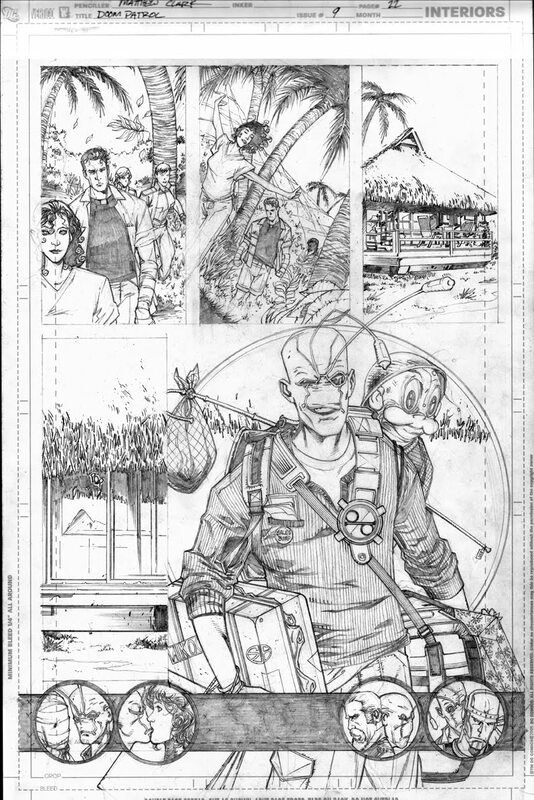 Here's the original pencil art for that final page. Matthew Clark was kind enough to hit me with a super-secret sneakie peekie when he confirmed the Bug's appearance, and now I share that with you. Sorry for the long break. Busy-ness leading up to a wonderful family vacation, but now I'm back! 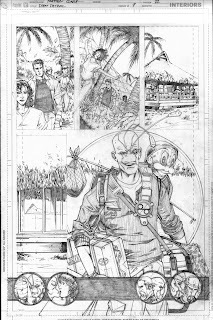 I'll be adding some more of my standard Doom Patrol fare in the next couple days, but first I wanted to direct your attention to Brightest Day #0 hitting the racks on Wednesday, April 14, 2010. It doesn't feature the Doom Patrol, but it does feature another creation of Arnold Drake's: Deadman.